Roustabout and Floorman from 1/1999 to 5/2005. 6000 m with 5" D.P. Desander: Pioneer T 2 x 12"
Desilter: Pioneer T 14 x 4"
As a “Roustabout” from 07– 03 – 2000 to 10 – 09 – 2001. Company: - With KCA DEUTAG DRILLING COMPANY (Rig, T – 75) As a “Floorman” from 02 – 01 – 2002 to 14 – 08 – 2005. Company: - With OIL & GAS ENGINEERING COMPANY (S.P.A) As a “Floorman” from March, 2006 to December, 2006. Company: - With DEWAN DRILLING (Pvt) LIMITED As a “Rig Man” from 22 – 02 – 2007 to 15 – 09 – 2007. 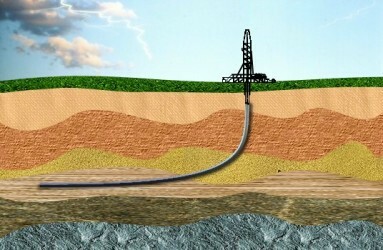 Company: - With BURGAN DRILLING COMPANY As a “Derrickman” from 24 – 01 – 2008 to 14 – 02 – 2009. Company: - With IDC (IRAQ DRILLING COMPANY) IRAQ As a “Derrickman” from 25 – 07 – 2010 to 31 – 12 – 2010. 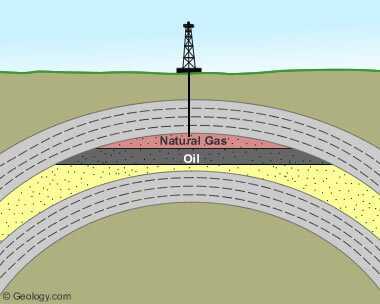 Familiar with well drilling technology, principles, equipment structure. Can make reasonable technological order according as fact. Accumulated rich experiences on directional well, Whipstock settings, fishing, and all different rig activities, posing stronger construction ability alone. Familiar with handling various borehole problems and accidents. 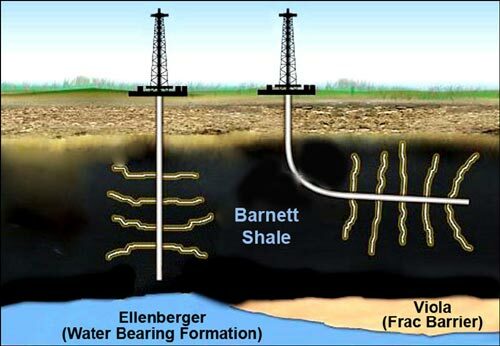 Well Certified for Well Control, specially controlling high pressure well. Familiar with HSE System Management. Worked in Different Types of Rigs and having the experience on the new technical RIGS (Joy Stick, Touch Screen, and Top Drive TDS9 & TDS11). Joined Greatwall Drilling DRILLER and working till date in syria’s Oil Fields. I drilled many wells from different type of directional wells and more than 4000 meters of horizontal well in work over rig, type of rig is electric control, AC motor , touch screen, hydraulic brake , 1600hpr mud pumps ,&TDS11s of VARCO& IADC report, Pipe Tally, BOP tests and procedures &Rig moving operations. Responsible for organizing and supervising the jobs on the drill floor, in the derrick, in the drilling mud mixing/storage area and in the mud pump room area as well as assisting the technical department in carrying out the first-line maintenance of equipment in these areas. Responsible carrying out all of the Monkey board jobs doing all jobs required on the mast high up level rig floor. Also sharing in installing the BOP. Also maintenance for all the tools. BOP & Mud Pumps. From 2000 until 2003 Sahara petroleum Service Company (SAPESCO Drilling, & Work Over. Syria Branch) Rig # 2 as Derrick Man. I drilled plenty of wells, such as 4 wells with more than 6000 meters deep, and horizontally of 5800 meters. All of them are high pressure, high H2S wells. -Hoisting / Rotating / Power / Hydraulic / Pipe Handling SYSTEMS. Can work and communicate with all members of crew no matter their nationality. Like to do the work in a safe efficient manner for employer and client. Worked on Continental Emsco & National Oilwell drawworks, problems encountered in the same Pilling / lowering of 30”, 20”, 18 5/8”, 13 3/8”, 9 5/8”, 7” & 5” casings and liner and solved. * Professional Aptitude Certificate in Electromecanic (Technical college Diploma -1974). · Training in Electric maintenance and control for Caterpillar Group all Types. (with certificate). From : 2008 to 2009: Senior SCR Electrician at: Challenger / Bronco Drilling Company (Libya). I have 30 years experience in oil drilling rig at : National Drilling Company – Algeria- ENAFOR. ( inclusive 2 years from: 2005-2008) of work in: Oil Drilling Rig at: Sultanate of Oman (PDO/Enafor). I have a good knowledge and skills in Electric maintenance, troubleshooting and Repair for all Electric Equipments of Drilling Rig. I have a good knowledge in Electric SCR /PLC system (Ross-Hill ; National oil well varco; Integrated Power System (IPS), Tech-power and General Electric system , Generators and motors AC/DC . Electric control and maintenance for all caterpillar groups. Top Drive: ( Canrig; Tesco and tds Varco with VFD System), Electric equipments Control for Baylor Brake , Maintenance and repair for all instruments sensors ( gas detection) and sensors for Drilling equipments of rig , Maintenance of all Electric equipments for Camp of Rig. · Use pneumatic electrical and electronic testing devices to inspect instruments and system operation and diagnose faults. · Implementing reliability centered maintenance to maintain cost effective and MTTF hours. · Troubleshooting, maintaining, servicing and overhauling equipment pertaining to Drilling Oil Rig and Auxiliaries. · Preventative Maintenance Program on all Equipments related to the Rig and Camp. (Weekly, Biweekly, Monthly, Six Months, Yearly). · Equipment Related to ADWOC Rig #1, (El MAGCO Brake 6032,) SCR System, Caterpillar, GE. (BASLER SCR Regulation), VARCO NOV TDS 11SA, Equipped With PLC Siemens , and IDM G5 VFD Control. · Drilling Machinery: Drawworks, Mud Pumps, EMESCO CONTINENTAL. · Gas, H2S, Monitoring and Calibration. Sullair Compressors and Dryers. · Lifting Equipment: KATO Crane. D966 CAT Loader. · Stamford Generators. Camp Equipment: KATO Generators, Deep Freeze, Restaurant Appliances. · Installation of Electrical Equipment: Medium Voltage Transformers, Switchgears, (Vacuum Circuit Breakers) and Low Voltage Switchgears, Transformers, and VFD with different Power Outputs, Cabling, Splicing and terminating all connections. Grounding and Bonding of all Devices. · Installation of Low Voltage Equipments, PLC, and Process Control Instrumentation for Gas Process Modules. · Commissioning, Implementing reliability centered maintenance to maintain cost effective and MTTF hours. · Identifying parts, material, tools, documentation of any other job preparation requirements to maintain all kinds of rotating equipment. (CBM Compressors, Screw Compressors, (Air and Gas), Turbo Blowers, and Positive Displacement Blowers, and Pumps. · Planning/scheduling weekly (PM and CM Modules). · Identifying any hazards prior to release any work order for scheduling, by walking down jobs and filling field risk assessment and JSA sheets. · Input all maintenance procedures including repair and test procedure and attach all related documents. · Troubleshooting, maintaining, servicing and overhauling equipment pertaining to the Plant and Auxiliaries. · Preventative Maintenance Program on all Equipments related to the Industry. (Weekly, Bi-weekly, Monthly, Six Months, Yearly). · Troubleshooting, servicing, maintaining, and equipment related to Well Heads, and Single Battery (Oil and Gas), pumps, compressors, and Gas Dehydration, Refrigeration components. Wells Optimization, Maintenance, SCADA operation, FieldView Operation. · Repair chemical Injection pumps, Run compressors. · Pipeline Pigging, Gas lift Systems, Rod Pumps Equipment Maintenance and Operation. · Preventative Maintenance Program on all Equipments related to the Industry. (Weekly, Biweekly, Monthly, Six Months, Yearly). · Providing services for Standby Power Generation Station. · Servicing, maintaining, repairing and overhauling, calibrating Instruments and Devices related to Drilling parameters SPM, RPM. · Workshop, calibrating a variety of Gages Utilizing Dead Weight Calibrator. · Planned/scheduled daily, weekly, bi-weekly and monthly maintenance activities with the right resources. · Issued material lists for work orders that required spare parts. NWD National Drilling and Workover Company. Libya. (Desert) 1988 -1995. · Maintaining, repairing, existing installation, implementing Generator Set, AC Switch Gear up to 600 VAC, and 750 VDC, Inverter, AC/DC, DC/DC. · Providing daily safety rules and procedures for equipment maintenance and operations. · Installing, operating, maintaining, calibrating, troubleshooting, and repairing on Electrical-Mechanical such Diesel-Electrical Transmission, Caterpillar Power Generation Set, VDC Motor/Generator GM, GE equipment. · Troubleshooting, Maintaining, repairing, Electro-Mechanical equipment on the Drilling rig Oil well 2000, and D379 AC Generators, EMD transmission, Diesel-Electric. · Maintaining, repairing, and overhauling existing installation, implementing Generator Set, AC Switchgear up to 600 VAC, Inverter, AC/DC, and DC/DC. · Troubleshooting, Maintaining, repairing, Electro-Mechanical equipment on the Drilling rigs OilWell 2000, OilWell 840, OilWell 860 and a Variety of CAT Generators, EMD transmission, Diesel-Electric. · HSE and Safety Tickets: WHMIS, TDG, H2S AWARNESS, BSIC FIRE FIGHTING, NORM, MSDS, CPR, INCIDENT COMMAAND SYSTEM, HAZARD ID, CONFINED SPACE, GROUND DISTURBANCE, DEFENSIVE DRIVING. Diploma in mechanical enng from K.C.P.T in the year of 2004. 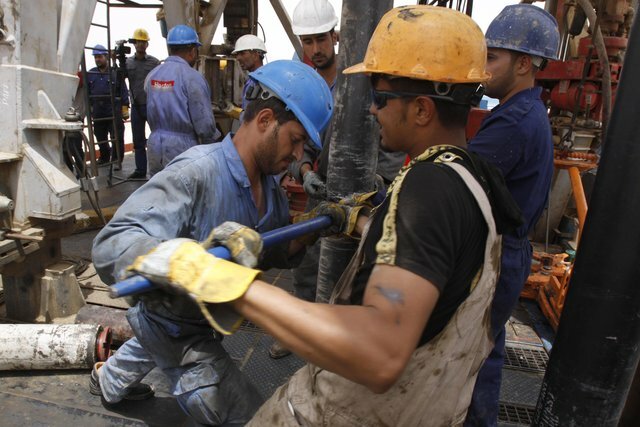 Ø Ensure that all maintence & repair of drilling equipments, both planned & unplanned, are properly organized and executed in a professional manner and to a high tandared. 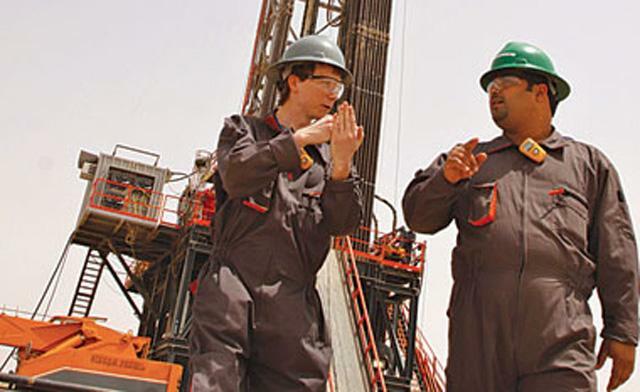 Ø Ensure that all mechanical & drilling equipments are operated properly at all times. Ø To test and operate the emergency sytems are as per planning program. hazards. Reconditioning of rotating equipments like mission manum pumps, water spray pumps, etc. Ø Carry out maintenance service activities on oilfield equipment like draw works, mud pumps,top drive,bop,hydrulics catterpiller engine. Cummins engine. generators, rotary table, mud agitator gear box, etc. Ø To work or operatioalized key skiled areas likewise:compressor house,mud pump,drawork, kommy unit, bop , mast hyd ,hydraulic valve stand, as much as utilities section along to provice all kinds of needs or fulfillments as desired of the sequences of plant. Ø To shed about the systems with right to tackle it tasks or scewnizing the operational condition or manuals. Ø Specially to be awre of the conditions,requiremants, placemants, arrangemants, pof systems or provide best in the way likewise: pump alignmants, compressor installation,operation,or maintenance, gear box alignmants, overhauling, rotating equipmants, feed motor, movers, fro ensuring about their work data sheet , overview , prescripton, perception, treatmants, or running or stand conditions. Ø To make summary report, work data analog or analyst,audit or inspection report, requirations report and as well as achievmants records. · Worked from the Gulf of Mexico to the Mackenzie Delta, N.W.T. Assist to supervise personnel involved in all material handling operations. 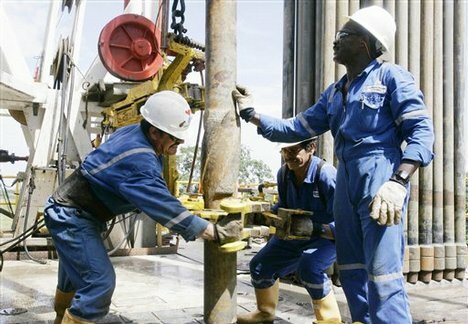 Assist to organize and prepare equipment for all drilling or other planned rig operations. 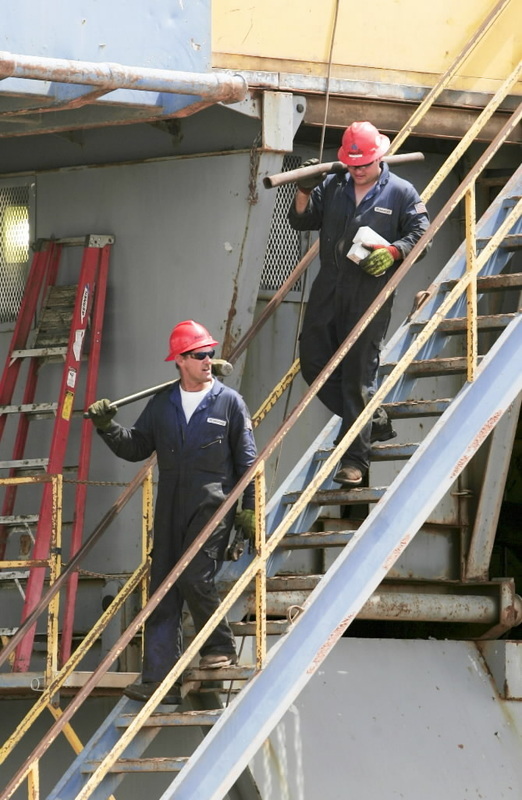 Provide the roustabout crew with relevant instructions for current and planned operations. Ensuring cleanness and house keeping of the deck area in maintained to the require standard. Supervise planned maintenance on the crane. Liaise with the rig chief engineer on all aspect of crane maintenance and performance and failures. Attend and monitor safety meetings including and task meetings. Assist in offloading, measuring and labeling of casing length, type and amount. Assist on the helideck during helicopter operations. Rig maintenance such as chipping, scraping, painting, scrubbing, and cleaning. Assist in keeping the deck free of all unnecessary tools and equipment. Relieve on the drill floor as required in order to gain experience for promotion. Assist the Crane Operator with the loading and unloading of supplies. Flag Crane Operator during lifts, install tag lines to prevent accidents or damage. Assist in maintaining the general appearance of the drilling rig. Keep the paint locker neat and orderly, ensure all containers are sealed, and all combustible materials are properly stored. Be familiar with company paint specifications and procedures for use and care. Participate in the development of newly appointed crew members. Participate in training both onshore and offshore. Assist the Helicopter Landing Officer during helideck operations. Proceed safely, and correct or notify persons of any unsafe acts and/or conditions. Assist to prepare job safety analysis (JSA) as required for hazardous crane operations. Report any incidents, potential hazards or abnormal situations to the Deck Supervisor. Assist in training to ensure all personnel are competent to perform their allocated job. Respond to emergency situations as per designation on station bill. Assist to maintain accurate records of all equipment loaded on to and off the rig with the deck department (weights and weight locations are critical to rig stability). Assist to maintain accurate crane, wire line and lifting and hoisting equipment records.